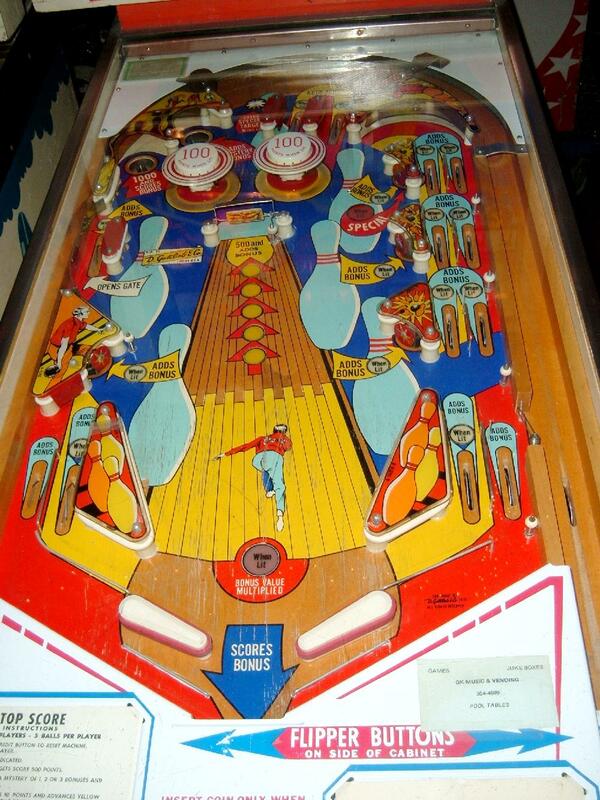 Description: Gottlieb 300 pinball, Gottlieb Top Score pinball. Same game, just different number of players (4 players versus 2 players). Gottlieb sold this game design in the two flavors, though they are essentially the exact same game (with slight artwork differences). 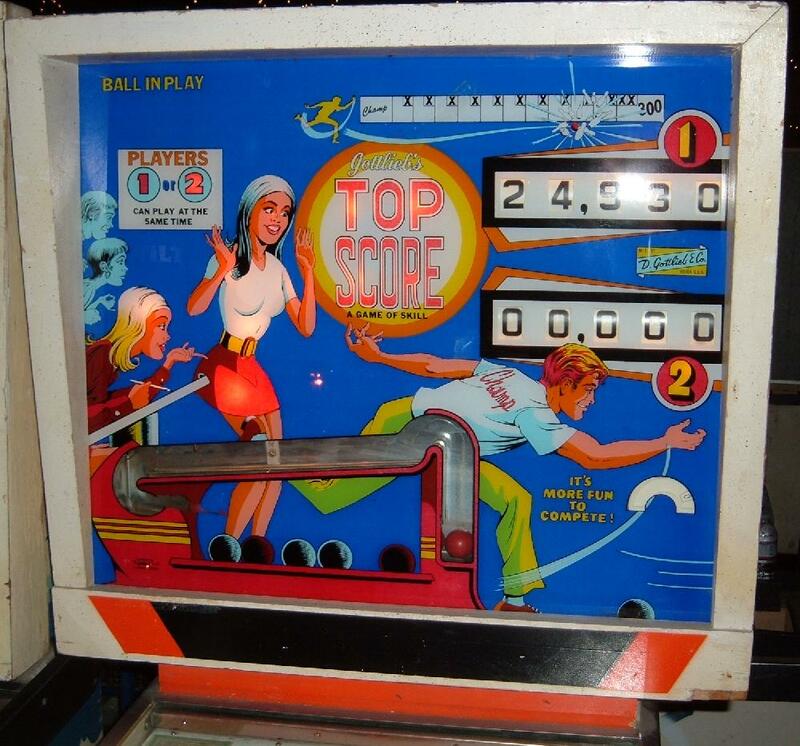 The 2 player version (Top Score) had a lower price than the 4 player (300), and was marketed to game operators with less money to spend. 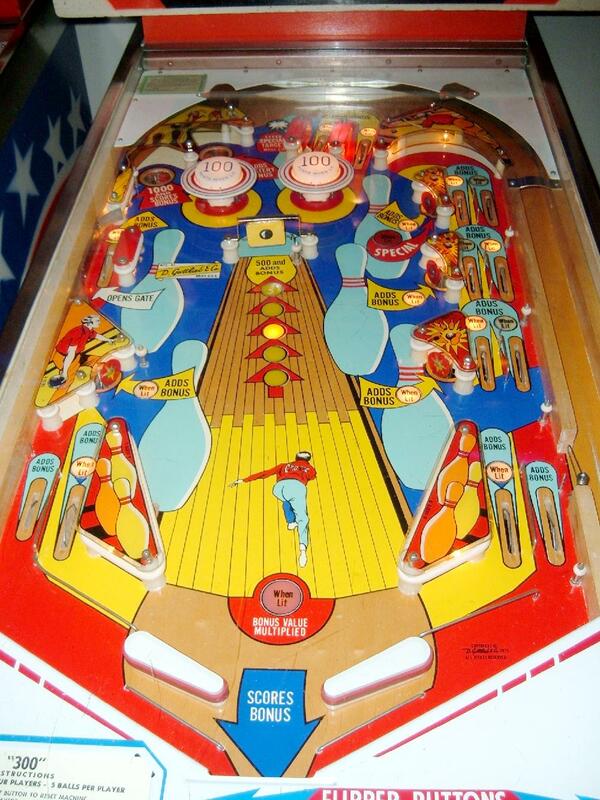 This game used animated backbox red (bowling) balls for the bonus unit. Two kickout holes, 2 pop bumpers, 1 spinner, 2 slingshots, two 3" flippers. 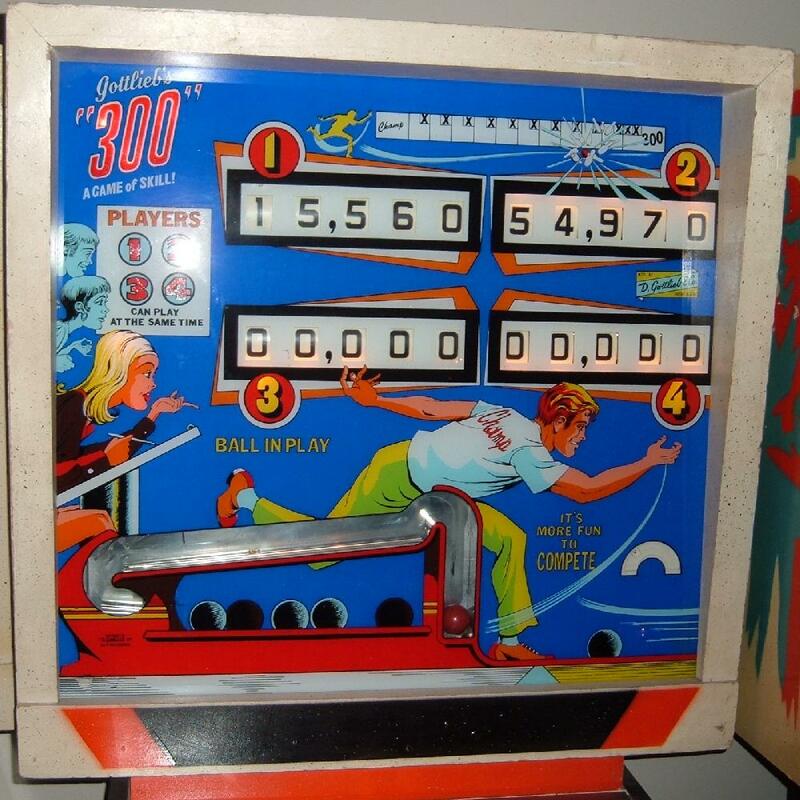 Has the same right side lane scoring as Gottlieb Sheriff pinball (1971), and similar left side score as Gottlieb Super Soccer. 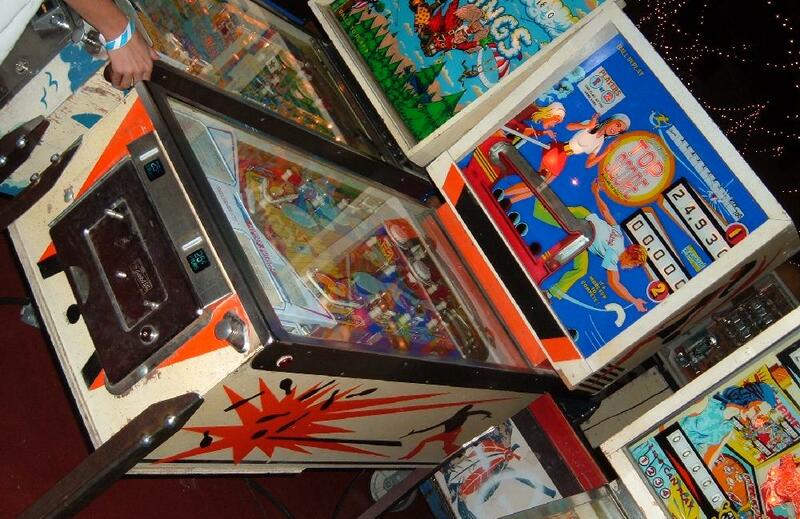 Only a couple Gottlieb pinball games made during the 1970s used backbox animation. Same backbox animation unit as Super Soccer pinball. 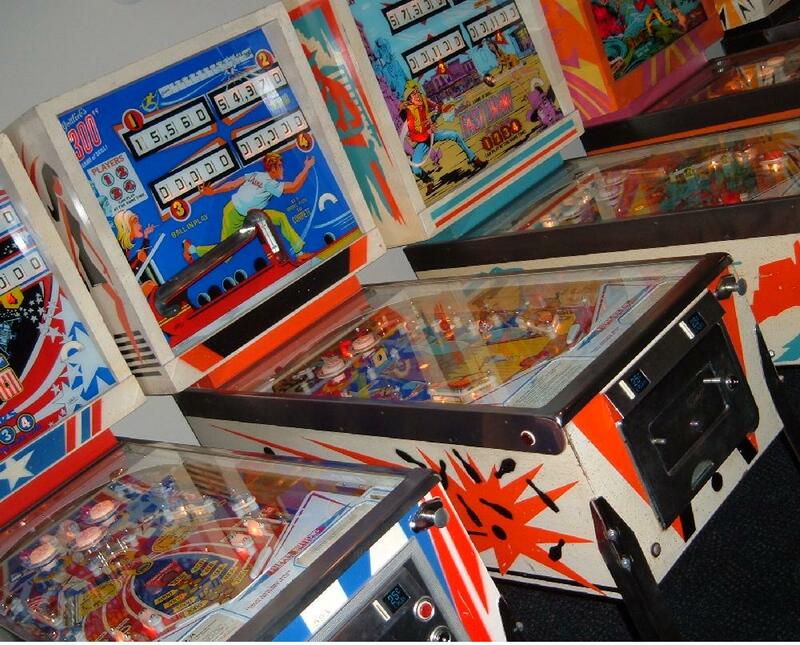 They made 7925 Gottlieb 300 pinballs, and 3200 Gottlieb Top Score pinball machines.